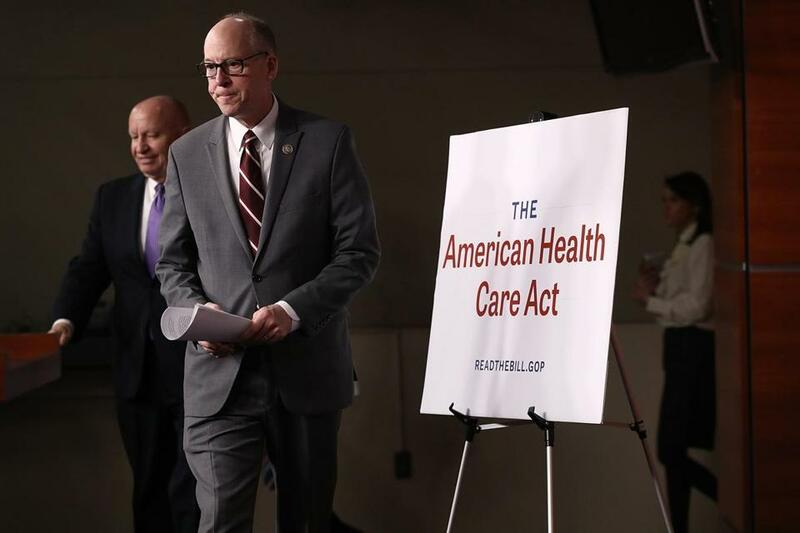 House Energy and Commerce Chairman Greg Walden and House Ways and Means Chairman Kevin Brady arrive for a news conference on the newly announced American Health Care Act at the US Capitol. The passage of the Affordable Care Act in 2010 involved months of hearings, endless negotiations, delays to other legislative priorities, and, ultimately, massive political cost. Democrats at the time enjoyed strong congressional majorities, and were relatively united on the need for reform, but still barely passed the legislation that expanded health insurance coverage to about 20 million Americans. If House Speaker Paul Ryan and Senate majority leader Mitch McConnell are serious about their efforts to overhaul that law, they had better be prepared for a similar ordeal. That much was clear from the tepid reaction to the health care bill that House Republicans unveiled on Monday. By Tuesday, both conservative Republicans in the House and moderates in the Senate had expressed reservations or outright opposition. The GOP of 2017 is more ideologically divided than the Democrats of 2009, and its majorities are slimmer. In other words, it’s not going to be easy to muscle the new bill through Congress. And since the problems that the GOP’s health care legislation is attempting to solve are largely imaginary, the question that McConnell and Ryan need to consider is whether it’s really worth the titanic effort that the legislation would require. Rewriting the Affordable Care Act, aka Obamacare, could paralyze Congress — but only if the leadership allows it. The bill announced Monday would certainly need the scrutiny. 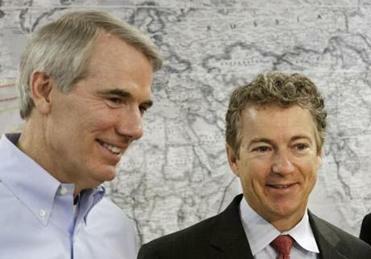 The deeply problematic plan would roil insurance markets and destabilize state budgets. Although the Congressional Budget Office hasn’t analyzed the legislation yet, it’s expected that it would cause about 15 million Americans to lose their health coverage. It would increase the deficit by repealing some Obamacare taxes. House Republicans claim the proposal would end Obamacare’s tax penalty for people without insurance, but the reality is more complicated. The bill would instead allow insurers to assess a surcharge if individuals let insurance lapse. So uninsured Americans would still face a penalty, but they’d just owe the money to insurers instead of the IRS. The Ryan plan would also limit federal subsidies to states that opted to expand Medicaid under Obamacare. Enough GOP senators from Medicaid expansion states have already raised doubts about that provision that they alone could stop the bill in tracks. Others are likely to object to language defunding Planned Parenthood. The package would scale back the government’s role in helping people afford coverage and likely leave more Americans uninsured. Read: How are you going to pay for your plans, Mr. President? The brewing conflict has left Democrats positively gleeful at the prospect of the Republicans fighting among themselves over health care for the next two months (or two years). But Congress does have better uses of its time: investigating the Russian interference in the election, studying tax reform, making good on President Trump’s promise for massive infrastructure spending, to name just a few. It goes without saying that GOP leaders have nobody to blame but themselves for their predicament, after having offered nothing but simplistic sloganeering about health care policy for the last six years. Still, the wiser course now would be to cut their losses and pull the plug on Ryan’s plan — or get ready for the long, treacherous, unpredictable slog of improving it.